San Ramon, CA – April 5, 2018 — DemandGen International, the leading provider of digital marketing strategy and technology services, today announced it was named a Platinum Partner and a finalist for Digital Services Partner of the Year for the 2018 Revvie Awards by Marketo®, Inc. Marketo is the leading provider of engagement marketing software and solutions. Marketo awards Platinum status only to companies that meet the highest requirements for scale, expertise and customer satisfaction. The Digital Services Partner of the Year award in the 2018 Revvie Awards recognizes the partner who is delivering exceptional value to Marketo customers through marketing transformation, implementation, or creative services. As a Marketo Platinum Partner, DemandGen will have influence on Marketo’s strategic direction as a member of its Partner Advisory Board, and gain insight into the future of the platform through exclusive roadmap sessions. DemandGen’s Marketo experts provide technical and strategic guidance for mid-market and enterprise organizations, helping to educate teams on best practices and processes for Marketo and the surrounding marketing technology stack. Services include implementation, integration and migration, consulting, campaign execution and more. In addition to its strategic partnership with Marketo, DemandGen launched its DemandGen Alliance this year to establish an ecosystem of best-in-class marketing technology solutions to help their clients discover, implement and leverage core components of their marketing technology stack. 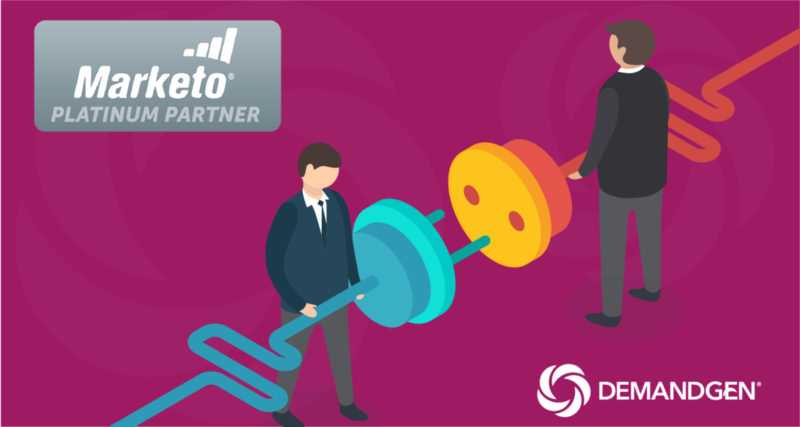 More information about DemandGen’s range of Marketo services is available here. DemandGen is also participating in Marketo’s annual Marketing Nation Summit taking place in San Francisco, April 29 – May 2, 2018. To register for the event, click here.